3) Providing old-world high-quality craftsmanship in the execution of our artistic vision. These three attributes have solidified our place as one of (if not) the finest wine cellar design/build firms in all of Los Angeles and Southern California. We’re commissioned to do fine custom wine cellars throughout the United States as well. It’s come up lately as to how fine and appreciated our Refrigeration Department is and how well we’ve done over so many years by keeping our clients’ fine wine in pristine condition even during the worst heat-waves. During a heat-wave is when most refrigeration companies are inundated with phone calls and requests for repair. That’s because of all the weak-links they have integrated into their refrigeration systems. When I am summonsed to consult on an existing wine cellar and wine cellar refrigeration system, I usually see four commonly made mistakes in the system that caused it to fail. And, it’s not always the same combination of four problems, it’s just that multiple things are wrong on any given system. 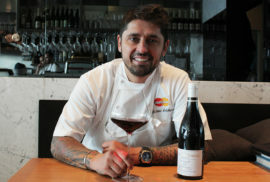 But not with Premier Cru Wine Cellars. We usually, and over so many years, get zero -0- telephone calls for refrigeration repair during heat-waves. Why? Well, because of our Proprietary and Exclusive Climate Control Process, that’s the is the reason. At Premier Cru Wine Cellars we take our Refrigeration Department and projects very seriously. And, that’s why we’re the preferred wine cellar refrigeration company in Los Angeles. Based in Moorpark, CA 93021, Premier Cru Wine Cellars Refrigeration Repair, Service, and Maintenance Departments are second-to-none and operate quickly to get your wine cellar refrigeration installed and/or repaired, serviced or maintained quickly and efficiently. Need refrigeration system service, repair, maintenance, or just a new wine cellar refrigeration system installation? If so, we’re here to happily help provide you, the help you need, with your refrigeration cooling system, whether it’s in Los Angeles, Moorpark, or anywhere in between. 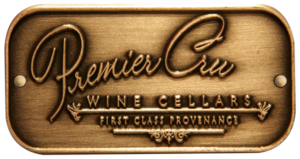 Premier Cru Wine Cellars (310) 289-1221 Call today for refrigeration repair, service and maintenance.